It's gruesome and terrifying. My favorite weather ghoul is not long for this world. The BLOB is not well. You know from my previous blogs that I have a special affection for the persistent pool of warm water over the eastern Pacific, one endearingly called the BLOB by local climate-guy Nick Bond. It was produced by unusually persistent high pressure over the eastern Pacific, which among other thing led to less mixing in the ocean. Less mixing of cold water from below to the surface resulted in a pool of warm water, 2-4C above normal. We liked the BLOB because it probably was a contributor to our above-normal temperatures in summer and early fall. But the BLOB is in trouble. Let me show you....and I warn those of your with a squeamish nature to switch to another blog so you avoid nightmares. And don't allow children to read any further. Here are the sea surface temperature (SST) anomalies (differences from normal) for a week in early September. BLOB is healthy. SST anomalies of 2-4C. Then examine the same sea surface temperature anomalies but for the week ending October 24th. BLOB is sick in the Gulf of Alaska, but there is still warm water near our coast. And now look at the anomaly for yesterday. 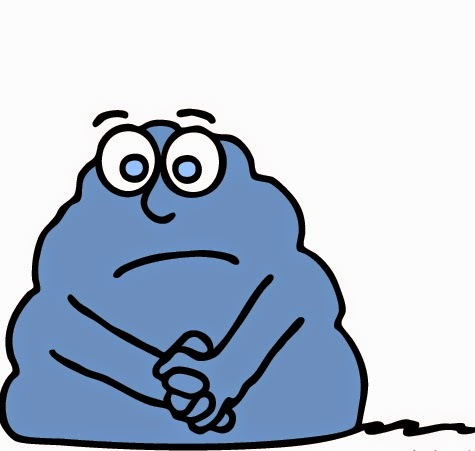 BLOB is in trouble. The water is now COOLER than normal in a large area of the eastern Pacific and the warm water along the coast has lessened. So why is our old and welcome friend. the BLOB. in trouble? It is because the atmospheric circulation has radically changed compared to last fall. Instead of a persistent ridge, we have had a persistent trough, with strong winds, storms, and lots of wave action. Take a look at the average sea level pressure for October 15th-28th. A deep low in the Gulf of Alaska. And here is the difference of the pressure from normal for the same period. An unusual area of low pressure in the same place. Low pressure is associated with storms, winds, and lots of waves that mix up the cold water from below the surface. The result is rapidly cooling of surface water and a very sick BLOB. There will be plenty of weather action over the Pacific during the next week, so I don't expect the BLOB to recover. A bittersweet reminder to value BLOBs when you have them. The U.S. is Falling Further Behind in Numerical Weather Prediction: Does the Obama Administration Care? The computational resources available to the U.S. National Weather Service (NWS) for numerical weather prediction is rapidly falling behind leading weather prediction centers around the world. Unfortunately, the Obama administration does not seem to care and the U.S. is retreating into second tier status. Such a degradation is not only completely unnecessary, but needlessly weakens the economic competitiveness of the U.S. and puts our citizens at risk. Amazingly, Congress appropriated the money to address this problem a year and a half ago, but the administration has not made use of the funds. There are words to describe such inaction, but this is a family oriented blog. Numerical weather prediction (NWP) is the central technology of weather forecasting. State-of-the-art weather prediction demands huge computer resources and thus the ability to forecast well depends on access to the top supercomputers in the world. Some numerical weather prediction models are run globally at moderate resolution, while others are run at ultra high resolution over smaller domains to predict small-scale features such as severe thunderstorms. Thus, a large nation, like the U.S., requires far more computer power than, say, South Korea or the United Kingdom. 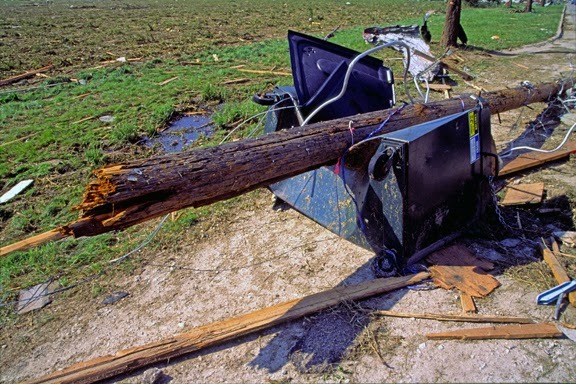 During the past several years, I have blogged repeatedly about lack of computer power available to U.S. operational weather prediction, and particularly the forecasts made at the NOAA/NWS Environmental Modeling Center (EMC). Many others in the meteorological community have done the same. One and a half years ago, the U.S. Congress, recognizing the problem, provided NOAA with 25 million dollars to buy a more powerful supercomputer. Amazingly, the U.S. administration has still not ordered the machine. The reason is that NOAA had signed a long-term contract with IBM (a bad move, by the way) and IBM sold their supercomputer hardware business to Lenovo, a Chinese firm. The administration did not want to purchase such a computer from a Chinese firm. And so nothing has happened. There were many options that could have fixed the problem. IBM could have purchased a supercomputer from CRAY, a U.S. firm. 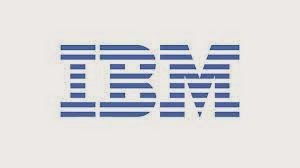 NOAA could have broken the contract with IBM. Or the administration could have gone ahead with the Lenovo machine (which was the same computer they would have bought anyway). But the Obama administration clearly is not very interested in weather prediction, and the problem has festered. But it is worse than that. Other nations and groups are pushing ahead rapidly in weather computer acquisition, leaving the National Weather Service in the dust. Yesterday, CRAY Computer announced the UK Met Office has ordered an extraordinary 125 million dollar system (CRAY's newest XC-40 hardware) that will delivery a throughput of roughly 15 petaflops (a petaflop is one quadrillion operations per second). The current NWS computer is capable of .21 petaflops and they are upgrading this fall to a machine of .8 petaflops. So the UKMET office will have TWENTY TIMES the computer power of the U.S. The area of the US lower 48 states is 33 times larger than that of the UK. In June, the Korean Meteorological Administration (KMA) purchased TWO CRAY XC-30 computers, each capable of 3.1 petaflops. Yes, their new machines will be nearly FOUR TIMES faster than the UPGRADED U.S. weather computers. Let's see, Korea is 1/81 the size of the lower 48 states. The European Center For Medium Range Weather Forecasting (ECMWF) just completed their first of several upgrades, buying two XC-30 computers from CRAY, each with 1.8 petaflops capacity--more than twice as fast as the U.S. upgrades. And importantly, ECMWF only does global prediction and thus does not have the responsibilities for high-resolution local forecasting like the National Weather Service. They need far less computer power, yet possess far more than the U.S. operational center. Heard enough? I have more examples, but the message is clear: the U.S. is rapidly falling behind in thecomputational resources necessary for high quality numerical weather prediction. Sadly, this administration has the funds for a major upgrade, one that would at least secure a petaflop machine capable of revolutionizing U.S. weather prediction, but they can't seem to figure out how to buy it. I know a lot of people inside NOAA and National Weather Service, including scientists working on the next generation of weather prediction models. Many are frustrated by the lack of computer power--one of them recently complained to me there is not enough computer resource to test promising advances. My back-of-the envelope-calculation is that the National Weather Service needs a minimum of 20-30 petaflops of computer power to provide the American people with state-of-the science weather prediction that would improve the life of everyone in important ways. For example, there are several reports by the U.S. National Academy of Sciences and other advisory groups suggesting that the U.S. needs ensembles (many forecasts run simultaneously) run at high resolution (2-3 km grid spacing) to provide better forecasts of thunderstorms, and particularly severe ones. Such ensembles would greatly improve the detailed weather forecasts for smaller-scale features in the rest of the country (Northwest folks, think Puget Sound convergence zone or mountain precipitation). But the NWS simply does not have the computer power to do it. New multi-petaflop machines would make it possible. U.S. companies fork over millions of dollars a year to the European Center for the best forecasts...that would end with the new computers. And there are so many other critical forecast problems that would be lessened with more computer power, like better hurricane predictions days to a week out. The U.S. atmospheric sciences community is the intellectual leader in meteorology and weather prediction and many of our research advances are applied overseas, such as at ECMWF and the UKMET office. The American people deserve to take advantage of the research they are paying for, but that can't happen with inferior computers and inferior forecasts. And yes, our forecasts are still inferior, with the NWS unable to match the resolution and data assimilation approaches of its rivals overseas. Want proof? Here are the latest statistics for global 5-day forecasts at 500 hPa (about 18,000 ft above sea level) for several major international forecasting centers during the past month. Higher (closer to 1) is better. The top group is the European Center (ECM,the red triangle), with an average score of .911. The U.S model (GFS) is nearly always below them and had frequent and disturbing "drop outs" where forecast skill plummeted for a day or so (U.S. average is .876). Second place is the UKMET office (orange circles, .897) and expect them to soar with their new hardware. U.S. forecasters in their weather discussions frequently talk about their dependence on the European Model. Unfortunate. And we can't simply use the European Center for our weather predictions, since they will never do the high-resolution prediction over the U.S. than we need, among other things. That is the job of the National Weather Service. So folks, how do we fix this? First, the Obama administration needs to start taking weather prediction seriously, which they obviously don't. The President's Science Adviser John Holdren seems to be fixated on climate issues and does not appear to appreciate that good weather prediction is a primary means of protecting the American people from current and future extreme weather events. The administration needs to figure out a way to order a large multi-petaflop machine for the National Weather Service, getting past the objections of some bureaucrats about Lenovo computers. Or simply order a CRAY (I had lunch with a CRAY representative and they are enthusiastic about helping). Second, the American people and the weather community need to complain loudly about the current situation. The media can help us get the message out, something they did to great effect to secure the funding in the Sandy supplement in the first place. Third, our congressional representatives need to make this a major issue and push the administration to act. As I have noted in my earlier blog, securing adequate computer resources is only the first step in producing a renaissance in U.S. weather prediction capabilities. But it is a critical and important first step, and it is time to finally deal with this self-inflicted problem. Weather prediction is essential national infrastructure, like highways and education. With second rate infrastructure, a nation declines. If nothing is done by September 2015, the money for the new weather supercomputer will be lost. It would be a tragedy for U.S. weather prediction and the American people. Let's make sure this does not happen. Want to sign an online petition supporting improved computers for the National Weather Service? Go to this link! The Remnants of Hurricane Ana Hit the Northwest! You don't have to leave the Northwest to get some tropical cyclone action...it has come to you...tonight! The visible satellite image this afternoon showed an impressive cyclone off of the Northwest coast. You see the spiraling clouds nearly due west of Washington State? That is where the low center is. The front projecting from this system is now moving onshore over us and the rain has begun. But what is not obvious is that this storm started as Hurricane Ana, which came close to Hawaii before heading our way. Here is the official track information from NOAA for Ana. It skirted south of most of the islands as it headed to the northwest. Then near 30N it took a sharp right turn as it was influenced by the westerly winds in the midlatitudes. At this point it began undergoing extratropical transition, changing from a tropical to a midlatitude system. Don't believe this is the same system that is hitting us now? Let me show you in a series of infrared satellite images. There will be 12 hr apart. In the first two I marked Ana with a yellow highlight. The first one is on Oct 25th at 0000 UTC. Convinced? The latest WRF model forecast for 11 PM tonight shows that the storm is quite large but not as deep Saturday's system. It also is headed for BC. Many of you will be disappointed that we will not get a big windstorm from it. The City Light lineman will be pleased. Ex-tropical storms have occasionally hit the Northwest. In fact, some of our most intense and famous storms had their origins in the tropics. The ultimate example? The Columbus Day Storm of 1962, which began its life as Typhoon Freda (a.k.a Frieda). So cancel your trip to the tropics. The tropics is coming to you! And the tropics are wet, as we will be during the next day (24h rainfall ending 5 PM Tuesday is below). It is going to be pretty wild in Husky Stadium tonight...and I am not talking about the drinking and partying at the tailgate festivities. Western Washington is going to experience a serious windstorm as as a strong low center approaches western Washington from the south and moves northwestward across the Olympics. And it is bit stronger than our model forecasts indicated yesterday. First, the latest Langley Hill radar image. My god...you can see the swirl of the precipitation band around the low center (low center is marked by L). Little doubt where it is..a great aid to forecasters... and a reminder of the positive impacts of Senator Cantwell's work to secure this radar for us in 2009. 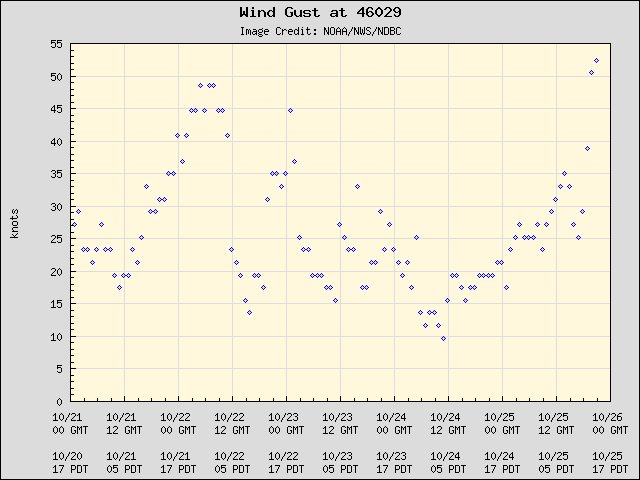 The winds at that buoy are gusting to nearly 55 knots (63 mph) right now. And here is the pressure/wind trace: pressure dropped below 984 hPa there. The UW WRF forecast for 2PM shows the low center, but the lowest pressure is only 984 hPa. The buoy did not pass through the storm's center and thus the central pressure of the low must be somewhat deeper than forecast. 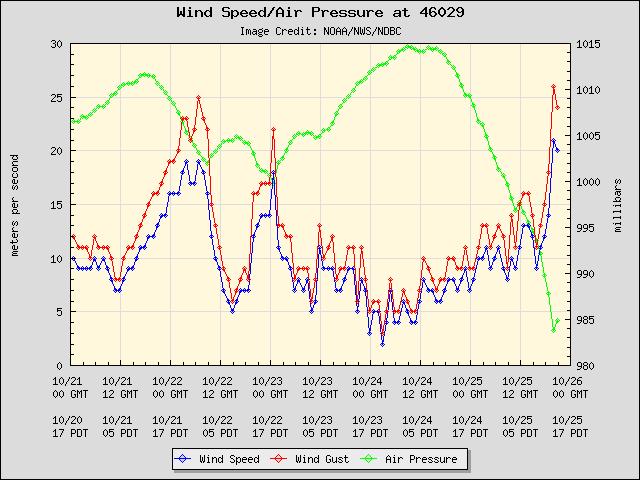 Another buoy farther offshore (46089) had its pressure drop to 982.8 hPa and it was clearly west of the low. So there is a good chance we are dealing with a storm around 980 hPa. This low system is more consolidated and better formed than earlier predictions and, as I have noted, the central pressure is lower. Thus, the impacts will be enhanced as it moves northward. That means they are fairly sure we will have a big wind event. And the latest NOAA/NWS High Resolution Rapid Refresh wind forecasts for 8 PM (0300 UTC) and 11 PM say it all. Gusts of 20-50 mph. I don't want to hype this. We will see gusts of 30-50 mph and because the leaves are on the trees we are more vulnerable. But this is NOT going to be like the Columbus Day, Inauguration Day, or Chanukah Eve storms. But you might go to sleep with a flashlight. So if you are going to the Husky game, watching Don Giovanni go to hell at Seattle Opera, or any other activity tonight, be watchful outside... particularly for falling trees and power lines. You can expect a fairly strong blow tomorrow evening over much of western Washington as a strong low center moves up the coast and crosses over western Washington. First, the latest satellite picture. You can see the swirl of clouds associated with the low due west of northern California. Clouds extend northeastward from the low (in an occluded or bent-back warm front). Nice pic. Let's look at the latest UW WRF forecast (solid lines are isobars, lines of constant pressure). We start for the forecast at 2 AM Saturday morning. Strong low, with a central pressure at 985 hPa (millibar). Strong, but nothing like the great storms like the Columbus Day Story (around 955 hPa)! By 2 PM Saturday, the low reaches the SW Washington Coast. Big pressure gradient and associated winds along the Oregon coast. The low has filled a bit (987 hPa). By 11 PM, the low moved across the Olympics and reached southern BC. Big pressure gradients over western Washington...it will be windy then....gusts to 30-40 mph are quite possible. 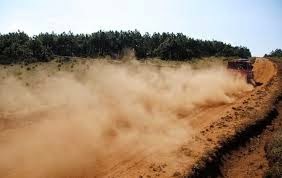 There is another wind threat that will be more localized. As the warm front moves northward tonight, you can expect accelerating winds along the western slopes of the Cascades from Enumclaw to North Bend. Gusts to 40 mph are probable. Here are the forecast gusts at 5 AM Saturday morning. You can see what I mean about strong winds along the western slopes. At 10 AM Saturday morning, the low is off the central Oregon coast and huge winds are found along the Oregon coast. Winds OVER 70 knots. If you are on the Oregon coast, either get away or get prepared...these will be severe conditions if the forecast model is correct. As the low moves northward across out region late tomorrow afternoon/evening winds will accelerate...here is the strong at 5 PM. Gusty wind pushing up the Sound and VERY strong along the central and southern WA coast (to 50 kts). Six hours later, as the low moves north of us, the winds will remain strong in the Sound, but will get very powerful (50 kts plus) in the Strait as air accelerates eastward in the gap. And yes, plenty of rain. Here are the totals for the next 48h. Very wet along the coast and in the north Cascades 2-5 inches). We are experiencing a very second half of October, with much of the region already way above the normal monthly totals...and we have a week left to run. Keep in mind that although this is a very recent model forecast, there is still some uncertainty with this event. One source of additional uncertainty is that the weather satellite information feed was discontinued for 1-2 days to the National Weather Service modeling group. The implications of this failure is not clear, but losing data over the ocean is a problem for us. Another potential storm on Tuesday..but that will have to wait until another blog. An EF-1 (86-110 mph) tornado hit Longview, Washington around 12:50 PM today (Thursday) in the unstable air that followed the recent atmospheric river. This tornado did some minor damage to buildings and power lines but seemed to take particular vengeance on dumpsters. Amazingly, the tornado pushed one dumpster all the way down the street. I don't think I have ever seen a dumpster pushed down a street any further by a tornado...and I am interested in that kind of thing. Here is the proof. You can see the small, but intense, convective cell associated with this fearful weather phenomenon (I indicated the echo with a yellow highlight). A far stronger line had just passed through Portland. According to the National Weather Service, the tornado was on the ground for 1.3 miles and left a damage swath 200 ft wide. 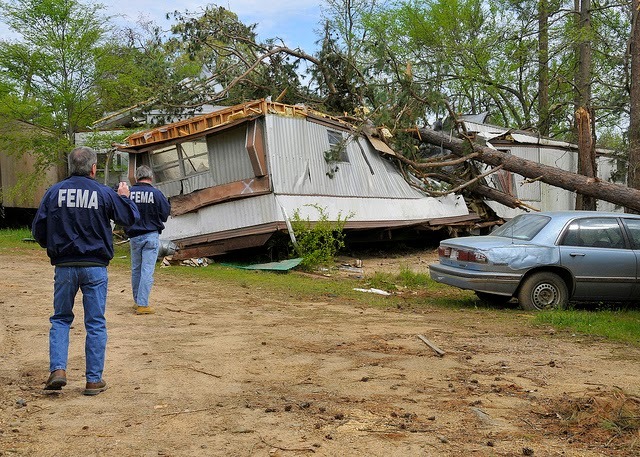 It is a well known in the meteorological community that tornadoes are attracted to mobile homes and dumpsters. (see pictures) We are not sure why this is true, but there is ongoing research. Recently, someone made a dumpster into a mobile home (see picture). I can imagine the attraction this will have for tornadoes. Finally, with the recent Anderson Island waterspout, I am getting many inquiries over whether the recent rash of tornadoes/waterspouts are caused or "consistent with" global warning. You can imagine the answer.